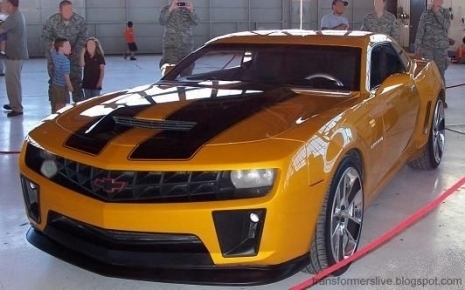 Here’s some new photos of the aggressive new look of Bumblebee in his Camaro form, set to appear in Transformers 2: Revenge of the Fallen. This was taken on the set @ White Sands Air Force Base. It’s not expected that the trim seen on the car will be available as a factory option. No Responses to "New photos of Bumblebee Camaro from TF2"